Meet the fellow moms (and dads) who add their stories, wisdom, and ideas here. You can read about Jennifer and Stephenie, the main voices on the blog, here and if you are a local mom or dad and are interested in lending your voice to Rocket City Mom, click here. Rachel Bloemer is a stay-at-home mom of two kids from Athens, Alabama. She enjoys singing, reading, and spending time with her family, and is RCM’s Athens Family Fun correspondent. Taralyn Caudle is a freelance writer and Huntsville native who returned to her hometown to raise her beautiful and energetic daughter, Gabby. When she’s not nurturing the talents of her budding artist, she can be found on the hunt for good food, good music, or a good deal on a pair of shoes. Practically possessed by politics, purple, and Prince, she loves alliteration (obviously) and has been known to quote music lyrics in everyday conversation, from Hall & Oates to Kanye West. Her current philosophy on life: a little bit of sarcasm and a whole lot of laughter never hurt anybody. Looking for a few good words? Let her help you find them at TaralynCaudle.com. Sam Chow was born and raised in the Mississippi Delta. A 5th grade field trip to Space Camp started his lifelong love of technology and engineering. He juggled working in Huntsville while studying for his engineering degree at Mississippi State and moved here full-time in 2001. He and his lovely wife Connie were married in 2006 and currently have a toddler and a preschooler, a dog, and a cat. In his spare time he enjoys training and watching mixed martial arts, watching old foreign films, reading, and video gaming. Melissa Davison is a former Youth Services Librarian turned Stay-at-Home-Mom of 2 boys and 1 girl. Married to her high school sweetheart since 2001, she moved with her family to Madison in 2013 from North Carolina and loves exploring her adopted home. When she’s not volunteering with Cub Scouts or the PTA, you can find Melissa drinking caffeinated beverages, knitting, or trying to work her way through her massive To-Read list. Karen Gann had a marketing communications career in high tech before taking a sharp turn into stay-at-home-momdom and homeschooling. She grew up in the Tennessee Valley, lives in Huntsville, and is wife to the wittiest man alive, mother to two head-strong and independent girls (they’re adorable, really), and human caregiver to Gomez the dog. Addictions include Facebook, Pinterest, NYC’s Radio Lab, coffee, and politics (not necessarily in that order but sometimes all at the same time). She’s a foodie, too. Jennifer Kelly grew up in the Birmingham area, but migrated to Huntsville for graduate school and put down roots after meeting her husband, Jamie. In addition to being a mom to her two boys, she is a tennis ninja, trivia nerd, freelance editor, and aspiring writer. Join her at TheSirBartonProject.com as she chronicles the writing of her first book. Christa Landingham and her husband are Madison County natives and life-long residents. They have boy/girl twins and two Boston Terriers. As the Director of Sales for Rocket City Mom, Christa gets to dedicate her professional energy to the community. In her “free-time” she loves to garden, travel with her family, and comb local thrift stores. 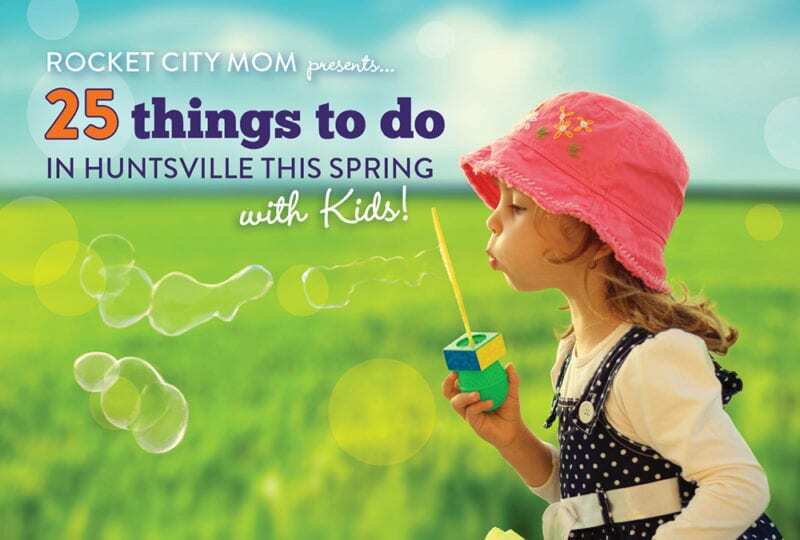 She also manages Rocket City Mom Media Solutions for local small businesses. Jenni McCarty is a wife, mom of four, l’il bit granola, jean-wearer, iced coffee drinker, home schooler, more than just a little obsessed with photography, frustrated organizer (see “mom of four”) yet ironically logical, Pinterest addict and Facebook follower, sufferer of ADCD (attention deficit crafters disorder), displaced Alaskan. She opened Jenni M Photography in 2012 and she really enjoys blogging about her personal family adventures whenever she has a chance. Shannan Moore Malone squeezes in the time to write while taking care of the Buddy Man. As you might have guessed, she adores books but she also loves great movies, running, and is, beyond a shadow of a doubt, a foodie. Though generally more on the quiet side, you can get her talking by mentioning living authentically, the importance of clarity and organization, and enjoying life, which she sporadically writes about on her blog and posts about on Instagram @shannanenjoyslife. Mandy Pinyan is the Youth Services Coordinator and Manager of Outreach Services at the Huntsville Madison County Public Library Extension and Outreach Department, where she can be seen driving a Rainbow Van or a Bookmobile in between gigs. Mom to a precocious elementary student and wife to a ruggedly handsome outdoorsman, Mandy finds enjoyment in painting, gardening, and geeking out over pop culture. A small menagerie of pets- dachshunds Matt Damon and Angel, kitty BB and Boston-Chihuahua-chupacabra mix Bailey make the chaos complete. Beth Ridgeway lives in Madison with her husband, daughter, and toy poodle. She works as the Social Media Specialist at the Huntsville/Madison County Convention & Visitors Bureau and is an #iheartHsv ambassador. She’s also RCM’s video & social media manager. When she’s not volunteering or working, you can find her binge watching Netflix, reading, or rehearsing improv. Kailani, trail name Yonder Girl, is an avid hiker, nature lover, and sometimes photographer. She spends her hours after school drafting and writing… all while being a normal 4th grader with friends, homework, and weekly spelling and vocabulary tests. She blogs about her travels and adventures in hopes of inspiring other girls to love being outside as much as she does.